Mentha oil spot market new arrivals have begun. UP and why the markets close today mentha oil prices declined by Rs 20-30. But futures volatility is enormous. Mentha oil futures gained today is the beginning. However MCX Mentha oil touches the highest levels of 1,040, After all sharp decline mentha oil in the domestic market. Although Today has stopped trading and Mentha oil has closed lower levels of 1,000. MCX Mentha Oil declined and closed 4 per cent. The arrivals of mentha oil in Uttar Pradesh markets have started. 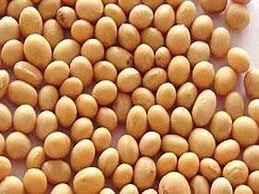 NCDEX Soya bean also has strong decline in the indian market. In the final hours of trading on NCDEX soybean and soybean grown in the fall was 2 per cent lower. SILVER HNI CALLS:- Trader can buy MCX Silver above at 43700 Targets 43950, 44200 Stop Loss 43200.